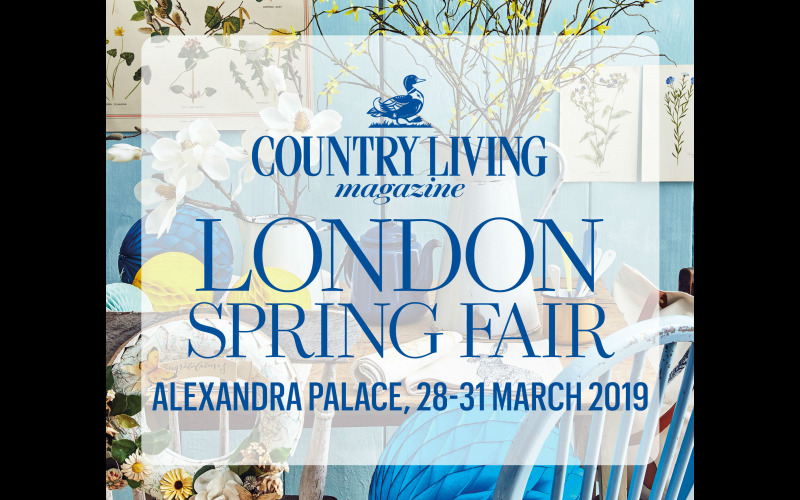 We have teamed up with Country Living Spring Fair to give you the chance to win four adult tickets worth up to £64. Taking place at Alexandra Palace from 28-31 March 2019, the show will welcome an unmissable shopping experience to kick start the spring season in style! You will be able to discover new, innovative ways to introduce country style to your home and garden, and shop from over 350 independent, artisan brands showcasing everything from jewellery and high-end fashion to home interiors and home-made accessories. The CL Larder, the brand-new foodie hall, will offer tasty delicacies from cheese, meats and sauces to tasty chocolate treats, cookies, brownies and much more to satisfy the sweet tooth. Free talks at the CL Stage will offer expert advice on everything from health, lifestyle and beauty to fashion, families and social media, while the The Good Life Theatre will offer insights on everything from bee and hen keeping to tips and tricks around farming. For the foodies, the show will present a wide selection of kitchen demonstrations in the CL Kitchen sponsored by Stoves and new this year, the CL Potting Shed will allow you to receive top advice and hands-on workshops for beginners and expert gardeners. With more events and experts still to be announced, the timetable is already shaping up to be its most exciting yet.